You don’t have to be Jewish to love Not that Jewish. In fact, the play is really a celebration of family values, family love, and family challenges. Monica Piper, the writer, is a comedian who has written for the likes of Mad about You, Rugrats and Roseanne. She’s also a stand-up comedienne who began her career teaching English but quickly segueing into the world of improv via Second City in Chicago. 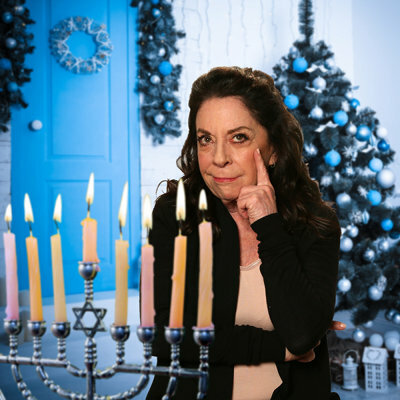 So what has being Jewish got to do with the show? Well, the cultural richesse passed down from generation to generation among Jewish families lends itself to the creation of language and ritual fodder, making for neuroses, laughs, and, of course, family entanglements. 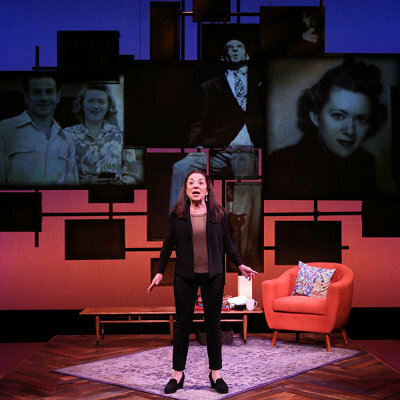 The play travels the life path of Ms. Piper’s beginnings as the daughter of a comedian through her passages as a single mother, as an adult encountering the old age issues of her parents, and through the successes of her career. It is both humorous and tender, touching and riveting, while hitting a chord with anyone who has endured the rituals of family. Do you need to be Jewish to understand it? Not really. The touchstones are relevant to all, although knowing some of the Yiddishisms will certainly enhance your experience. (A glossary is handed out along with the Playbill to help you understand the intricacies of this rich, rich but dying language). Ms. Piper performs the 90-minute show seven times a week at the New World Stages at 340 West 50th Street. Tickets are available at www.telecharge.com. www.notthatjewish.com. For Spamilton, it does help if you’ve seen Lin-Manuel Miranda’s brilliant history-making show Hamilton. www.hamiltonbroadway.com. The inside jokes take life from knowledge of the play, its foibles, its characters, and its songs. They also incorporate a dose of pure Broadway, including some of the nuances that assume a fairly broad knowledge of what makes theater on the Great White Way endearing as well as annoying (or trite). 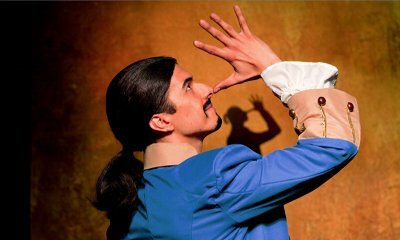 Written by Forbidden Broadway creator, Gerard Alessandrini, Spamilton is the consummate parody of a popular show. It exploits every nuance, every endearing or annoying gesture that you’ve come to love or hate about Broadway and about Hamilton in particular. The show, which is extending its reach to Chicago this month, concurrent with the opening of the real Hamilton in that city, depicts all of Hamilton’s lead characters, from the Schuyler sisters to George Washington, Aaron Burr and Alexander Hamilton himself with a frighteningly close degree of talent and dexterity. The rapping is unmistakable. The lyrics implausibly phenomenal. If you are familiar with Hamilton, you will be howling non-stop while also remarking at the extraordinary talent of the cast. These actors are so good that you could easily imagine them assuming the Broadway roles of the characters they spoof. My recommendation? See this show after you’ve seen Hamilton. Or at least after you’ve listened to the cast album a few times. But given the luxurious price of these tickets compared to the inflated Hamilton ones, you can easily see this show over and over and gain something new from it each time. I can’t wait to see it again. And this time I know I’ll be in the room where it happened, up close and personal, and not perched in a mezzanine seat at the Richard Rodgers Theater. Spamilton plays eight shows a week at the Triad, 158 West 72nd Street, on the Upper West Side. Tickets are cheap. A two-drink minimum is required, as this is, after all, a cabaret, a cozy room where it will happen. http://www.triadnyc.com/buy-tickets www.spamilton.com. This entry was posted on Saturday, February 18th, 2017 at 12:52 am	and is filed under Stuff to Do. You can follow any responses to this entry through the RSS 2.0 feed. You can leave a response, or trackback from your own site.